I’m the author of Mac Data Recovery Guru and I have been writing data recovery software since 2002. I started out by writing a data recovery engine which we contracted out and is used in many of the popular data recovery applications in use today, for Mac OS, Windows, and Linux. The data recovery engine became popular in forensics, and various governments around the world began using it, and made some feature requests. 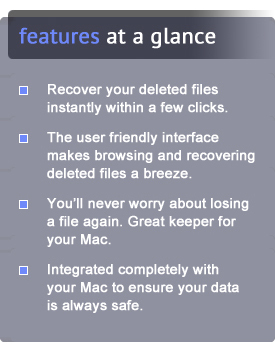 This is how the “Search for deleted and regular files” feature came to be in Mac Data Recovery Guru. It is generally more useful for scraping every possible byte out of a device for obtaining evidence, but it can also be useful for someone that’s determined to reclaim every bit of lost data on a device, which is why I have included that here in the consumer facing software. And it may just be a checkbox in the app from a user’s point of view, but in practice coding it took months. It removes the small amount of certainty that you do have when you’re scanning something on a block-by-block basis, and you have to start recovering data based purely on statistical probabilities. 2: To make it not just a little bit easier to use than any other, but to make it ridiculously easy to use. The first goal is never ending and never will be, but I feel there has been some progress made here. One particularly powerful feature is the Raw Text (plain) recovery. That will extract raw text from every byte in the drive, but will even go the extra mile to doing things like unzipping files on the fly (transparently) and extracting the text from them, and UUDecoding anything it comes across as well. You won’t notice this unless you’re careful though, it does it in the background and only uses about 2% of the CPU to do this. As for the second goal, it feels like this was accomplished. File recovery is now literally as simple as browsing regular files in the Finder. I don’t see how it could be more simple than that. If you have any suggestions feel free to drop me a line.